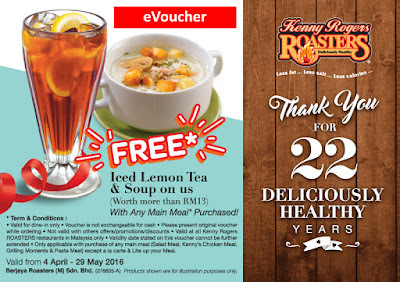 This year, Kenny Rogers Roasters is celebrating its 22 Deliciously Healthy Years in Malaysia. Congratulation KRR. 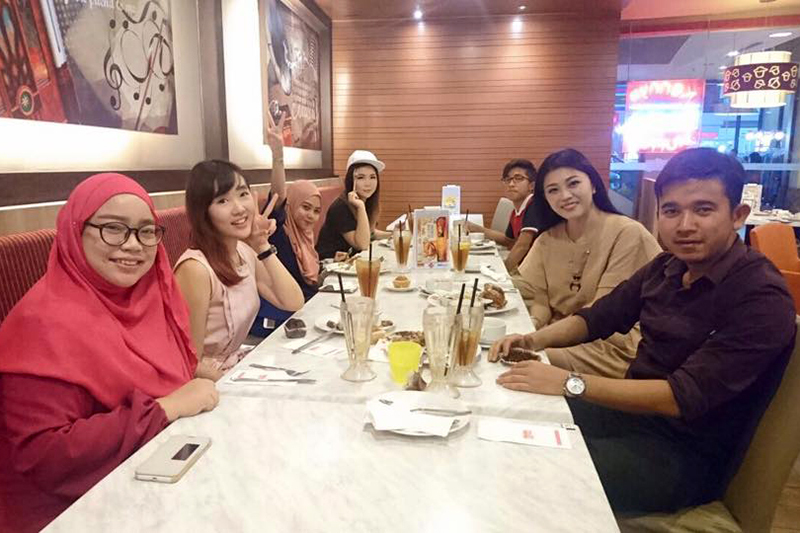 In celebration of the restaurant's 22nd years in Malaysia, KRR is rewarding us with some awesome promotion. Now you can enjoy a complete meal with just ONE PRICE! 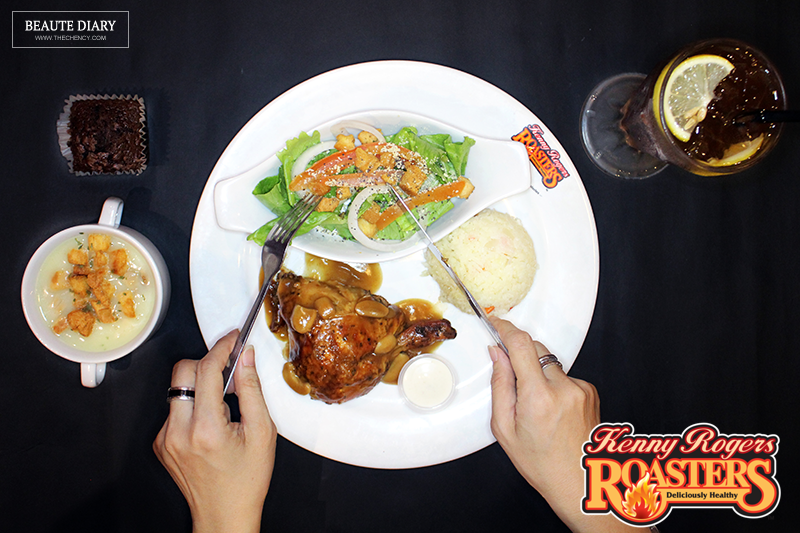 Just dine in at any KRR restaurant across Malaysia, purchase any main meal and get a FREE Country-style Chicken Soup and Iced Lemon Tea by just representing the e-voucher to them. As simple as abc. Means you just have to pay the price for main meal to enjoy a complete meal. Nothing is better when pay less for more. Oh ya! Did I forget to share with you that KRR will also contribute Kenny's Quarter Lite Meal for every 22 likes received on their Facebook post to selected charitable organisations. 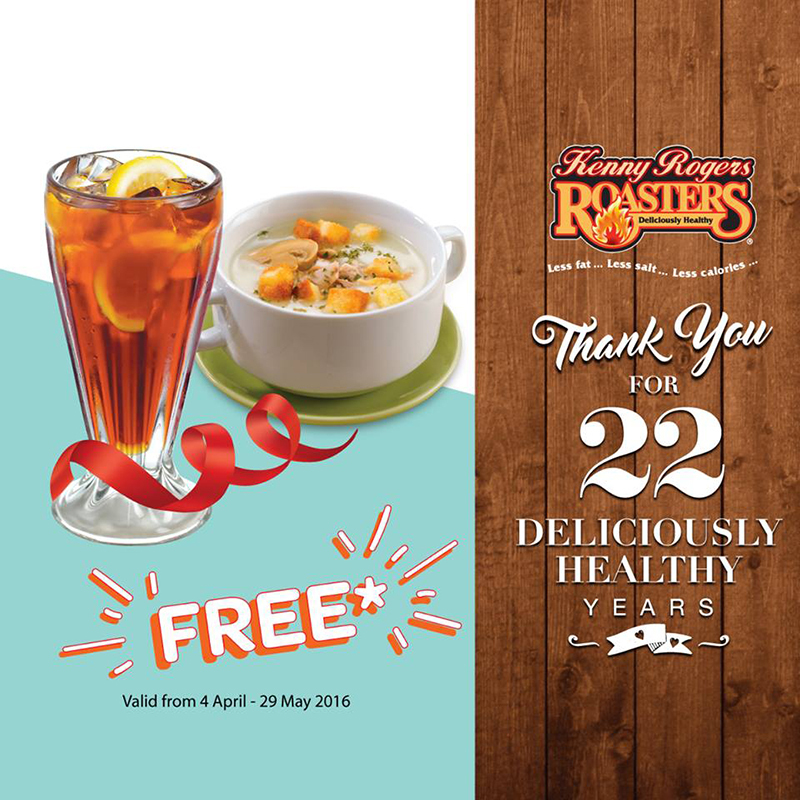 For more information about the celebration voucher or any updated news, please visit to Kenny Rogers Roasters Facebook, Instagram and Website. Any inquiries, you may reach them at 03-2119 9888. Thats nice but I find all those free days crowd is mad and too much queuing up for everything. When i was small, my parent love to bring me go there for dinner!!! Now I have decide what to grab for lunch later. I can print out the free drink and free soup before proceed to Kenny Rogers . Thank you for sharing. Yeah I want to go try to get their free soup and drinks also! I miss their chicken now after see your post. have heard about this promo but no chance to stop by for a visit yet. will try to get there before the promo runs out! Promo looks cool and the food looks yummy! Would love to try out. Yes! I like the free soup and drink too.